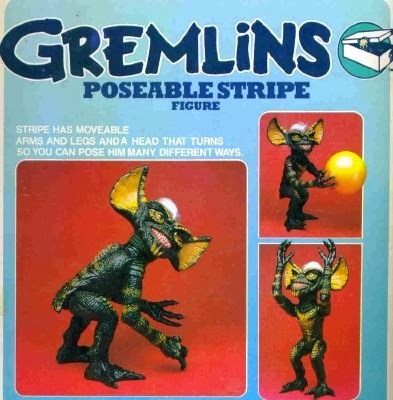 Straight from LJN (the company that also held the license to create toys from the movie Dune...), comes this 1984 retro-toy treasure: the Gremlins Poseable Stripe Figure. 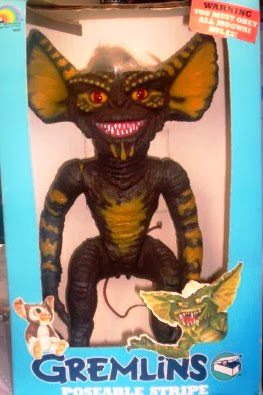 Toothy and imposing, Stripe stands at over a foot tall, has poseable limbs (and claws...), beady red eyes, and on his blue box is this legend: "WARNING: YOU MUST OBEY ALL MOGWAI RULES!" Basically, Joe Dante's horror movie featured much violence (like a suburban mother sparring with a violent Gremlin in her kitchen...) yet the film was still aimed at children....the market that had appreciated E.T. 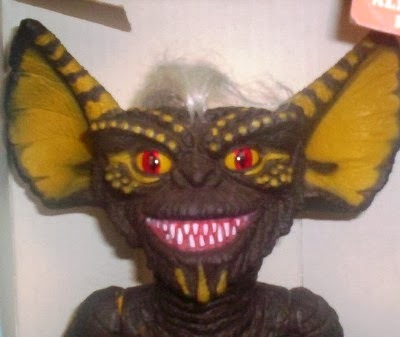 Anyway, this is indeed the figure of the malevolent Stripe, leader of the nasty gremlins, or Mogwai. The side of the box reminds us of the dangers of owning Mogwai by reciting the movie's warning. To paraphrase: Keep 'em out of water; Keep 'em out of light (sunlight is fatal...), and don't feed these buggers after midnight. On the back fo the box, there's a Gremlins "Proof of Purchase" worth three points, and an admonition to "collect the entire line of Gremlins toys from L.J.N." 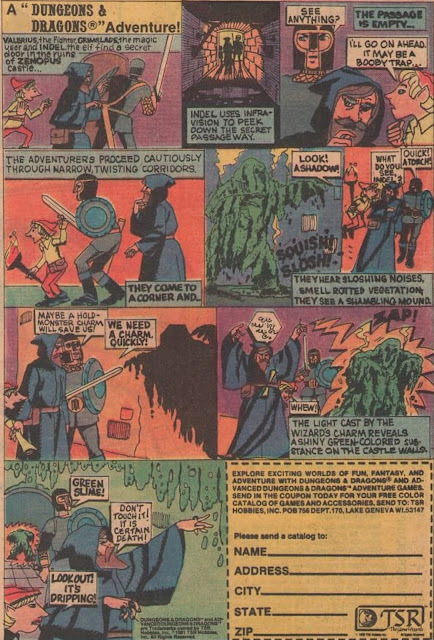 These include the: "3 piece collectible gift set; wind-up Gizmo and Stripe; small Poseable Gizmo; Bendable Stripe; Large Poseable Gizmo; Large Poseable Stripe" and "Stripe and Gizmo Water Hatchers." As for me, I had this bugger, the Bendable Stripe, and the Large poseable Gizmo. But this is the only one that I still have the box for. My brother's grilfriend had one of these in her home, sitting on the floor. I didn't see it at first, then when I did, I let out a shriek!